Shares of Lumber Liquidators Holdings (LL) soared more than 25% Tuesday after hedge fund manager Whitney Tilson reversed position and covered his short bet against the flooring retailer. The company’s stock was up 27.45% at $17.92 in afternoon trading. Tilson’s Kase Capital Management had maintained a short position on Virginia-based Lumber Liquidators since 2013, when the hedge fund’s managing partner questioned the company’s sourcing of its laminate flooring. The bearish investment view gained momentum in March, when CBS News’ 60 Minutes program reported that China-made laminate flooring sold by Lumber Liquidators contained levels of formaldehyde, a known carcinogen, that might not comply with U.S. health and safety guidelines. 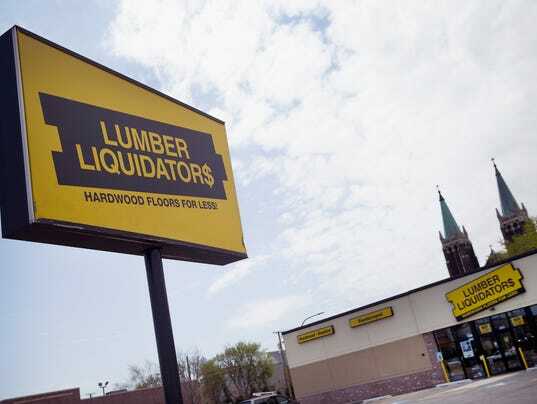 Hit hard by the allegations, Lumber Liquidators shares plunged from a $62.22 close on Feb. 23 to a $27.95 close on March 9, eight days after the 60 Minutes broadcast. “Many companies, alas, have unwittingly bought low-quality, toxic and/or illegal products from Chinese suppliers,” wrote Tilson. Lumber Liquidators did not immediately respond to a message seeking comment on the hedge fund’s turnabout position on the company’s stock. Separately, the company pleaded guilty to environmental crimes in a $13.2 million October settlement with the U.S.Department of Justice. The case involved illegal importation of hardwood flooring manufactured in China from timber that was improperly logged in far eastern Russia — in the habitat of the world’s last remaining Siberian tigers and Amur leopards.